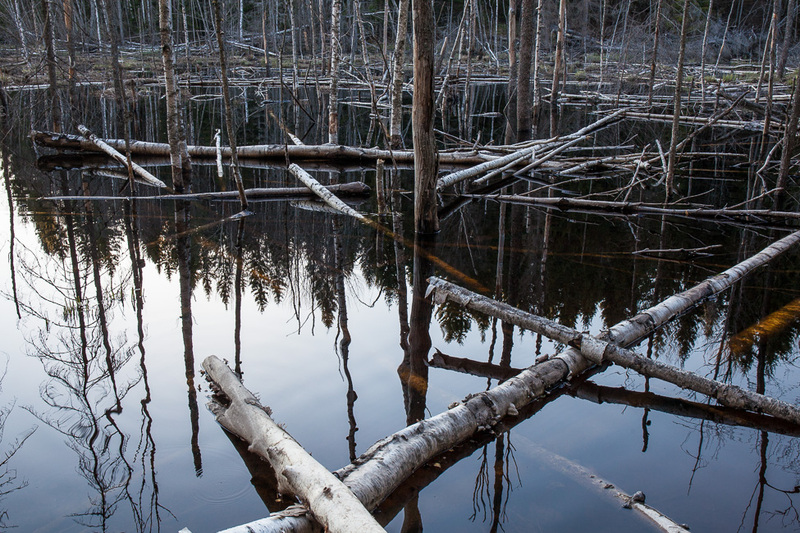 Beavers are sometimes termed ecosystem engineers - as they tramsform ecosystems impacting the surrounding environment. The positive impact of beaver services can be related to providing habitat for plants and animals as well as filtering and retention of water in the streams and rivers where they build their dams and lodges. This image was shot by a Beaver dam right next to an urban area in Västmanland, Sweden.